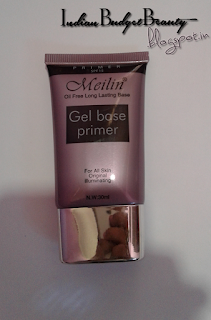 Hello Everybody, Today I'll be reviewing a face primer by Meilin. You might have heard the word 'Primer' if you went for painting classes. But I'm talking about the cosmetic Primers. Yes! you heard me right! 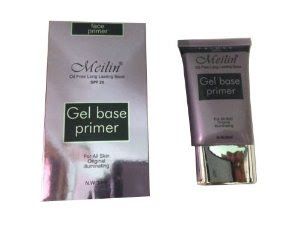 Meilin Oil Free Long Lasting Base. 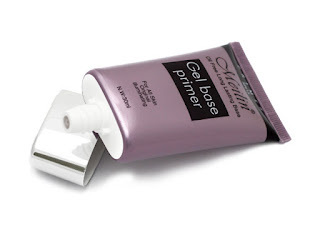 GEL BASED PRIMER. For All Skin Original Illuminating. Oil-Free Long Lasting Base and apply makeup after 1-2 minutes. The primer comes in a cute metallic violet colored shiny cardboard case. 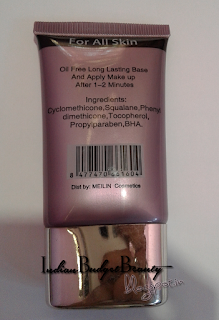 Inside the case is the primer, which again has the similar violet color packaging. It comes with a simple silver metallic finished cap. Meilin is a Taiwan makeup brand and it produces many makeup products and is cost-efficient. I was just window shopping online and this primer caught my attention. I was at first little hesitant to buy this Primer because I was scared to try face products from brands which are not known, but after I got my hands on this primer, I was in love! literally L-O-V-E! This Primer is gel based and very lightweight. 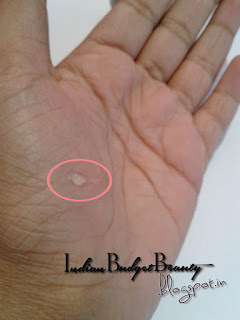 When I applied it to my face, my skin felt so soft. I felt like rubbing all day long! (*just kidding*). The primer is absolutely great for its price. It did not break on me so it's a Yay-Yay product! It doesn't have a chemical smell (which is great BTW) and has a very light-to-no smell at all. Once you apply it on your face, it blurs out the pores, it reduces the size of the pores. It lasts up to 5 hours, i.e., it keeps your makeup on point till 5 hours, which is great! The only thing I don't like about this product is that it contains Paraben :(, other than that, for the price it is offered, it is definitely marvelous!